When at the GDC, we had a chance to hang out and talk to one of the editors at Moddb.com, Ryan Anderson. He had a chance to play Clones at the kiosk and he recommended that we start a profile on the moddb.com site. As Clones will included a level editor, you will be able to create your own "mods" for the game. Check out the Clones Game profile on moddb here. 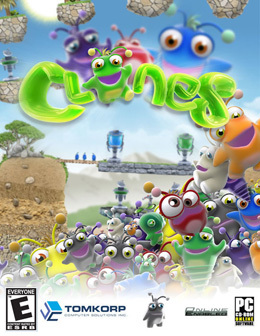 Clones @ the GDC 2009!!! We are located in booth 5137 North Hall. We have non-stop multiplayer Clones games going using two touch screen monitors!!! Super cool! Check us out!!! Some additional wallpapers are now available for download. 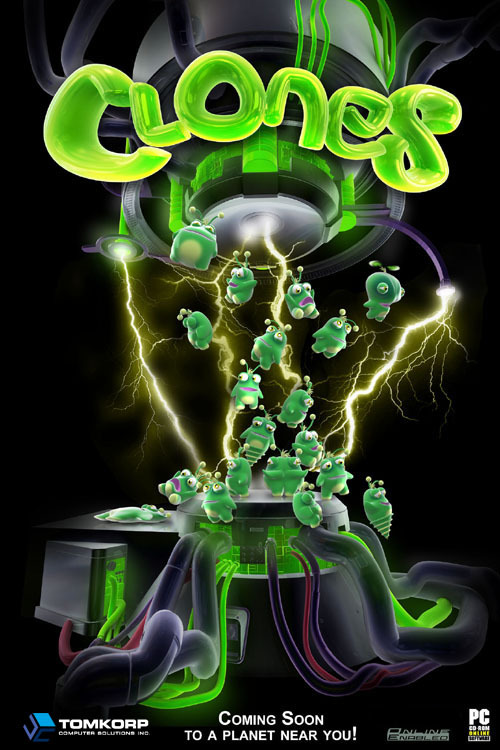 In particular, the wallpapers for the following CloneMasters are available: Wattson R. Ice, Beatall, Dragsicle, Robobrain, and Snoog. Enjoy! 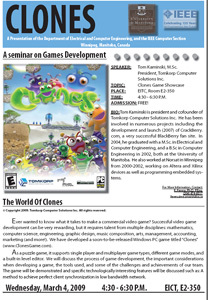 We'll be doing a presentation at University of Manitoba about game development and we will be showcasing Clones. Please view the official poster for full details. We have finally compiled and posted a video of Clones for all of you to see! Check it out below! We have published the Clones Level Editor Guide. It is specifically written for level designers, but you can get an appreciation for the feature set and complexity of the editor that will be included with the game. There are a few screenshots of the editor in action included in the guide. Wow! What an eventful and exciting 2008! We had a lot going on over the last year! We want to thank our graphic artist, Liem Nguyen, from Pixel Reborn for providing some outstanding 3D modelling and animation for the game. He has been on the team for only a year now, and has contributed immensely. We also want to thank Kenley Kristofferson and Jeremy Macintosh from NDB Studios for the professional sound effects and music composition that they do.